So finally, it’s here. The first Big leak of Android Q has arrived this month, and all the internet is going crazy. 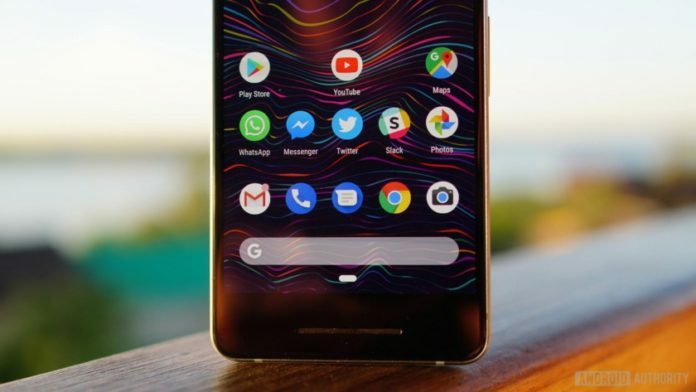 The XDA Developers has managed to get there hands on an early build of Android Q and flashed it onto a Google Pixel 3 XL, and as such, we now have our first look at the Android’s next big update. 1.1 So, what’s the ‘Q’ stands for in Android Q? So, The biggest visual change found in this early build of Q is- The System-Wide DARK THEME. 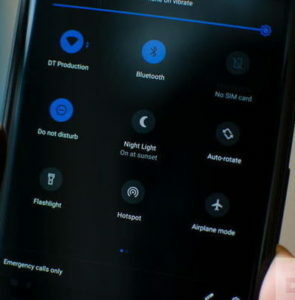 The leaked Android Q image includes a new “Set Dark mode” in the Display settings allows, including an automatic setting based on time of day. When it will be enabled, we’ll see a complete dark theme go into effect for the whole system including the launcher, quick settings, the Settings page, and more. and there’s also a new developer setting called “override force-dark”, which will force dark mode even in apps that lack a built-in version of it. The main reason why everyone is calling it a “System-Wide” Dark theme is that even Android P has an option for its theme to be changed from light to dark, but it only applies to the launcher and to the notification shade. In addition to the dark theme, XDA Developers discovered some major changes to the Android permissions in this build. For Google, privacy was always a major concern, The “Permissions usage” page in Settings has been completely revamped to show which permissions are being used by which of our apps, also allowing to filter permissions to see which apps are using certain ones and also the “App info” page got a completely redesigned UI. Currently, Android Pie offers just an on or off toggle for sensitive permissions like the location. A new Developer Option for a “desktop mode” was also spotted in the settings. which is expected to be something like Samsung’s DeX, Samsung DeX is a feature that allows us to plug in a flagship Samsung phone into a computer monitor through a special dock that uses our phone to power the monitor and turn it into a desktop-like experience. It can be something similar or maybe something entirely new. Plenty of other features were also spotted including a built-in screen recorder, freeform multi-window support, a Game Update Package Preferences setting which asks to select graphics drivers and always-present wallpaper option for the Always On Display. a heads-up notifications tweak, as well as a new “sensors off” Quick Settings tile which disables all radio signals, options in the built-in files app to filter items by type, and two new options for the screen lock setting. 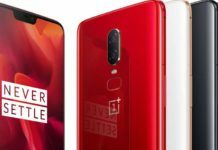 The first Developer preview will be released this March, and the open beta and the second developer preview expected to be launched at the Google I/O expected to happen between this May-August. So, what’s the ‘Q’ stands for in Android Q? According to the names of the predecessors of upcoming Android Q, the naming is based on Deserts. and there isn’t a lot of dessert names starting with ‘Q’. Pranjal Bareth is a High School Student, Tech Enthusiast, a Python, and C++ programmer, absolutely proudest of nerd & geek, afraid of bluescreen & dry ice, works as a freelancer and loves to write tech related articles.